The foam pad that goes around the cup holders has come off on my 06 F150 Folding console. Does anyone know how to disassemble the center console to remove the white plastic backing for the pad so I can glue it back on. I have looked for screws but nothing. This is horrible, still no way to take the center console apart to repair the pad around the cup holder. Alright I will take a few tonight. You could always order a new one. I'm sure you knew that though but maybe not how cheap they are. I just bought a new cover from tasca in black leather for 90 bucks. So cheap it isnt worth messing with for some people. Yay my first ever post! The question would be how do you remove the the old one from the cup holder? or are you talking about the whole folding console? I know this almost a year old, but would you happen to have a part #? PLEASE!!!! I am on the same search for a solution. Dealer charged me 50 bucks to tell me I would have to replace the entire console. There has to be a way to repair the individual piece. Saw some folks asking about the f150 center console pad. 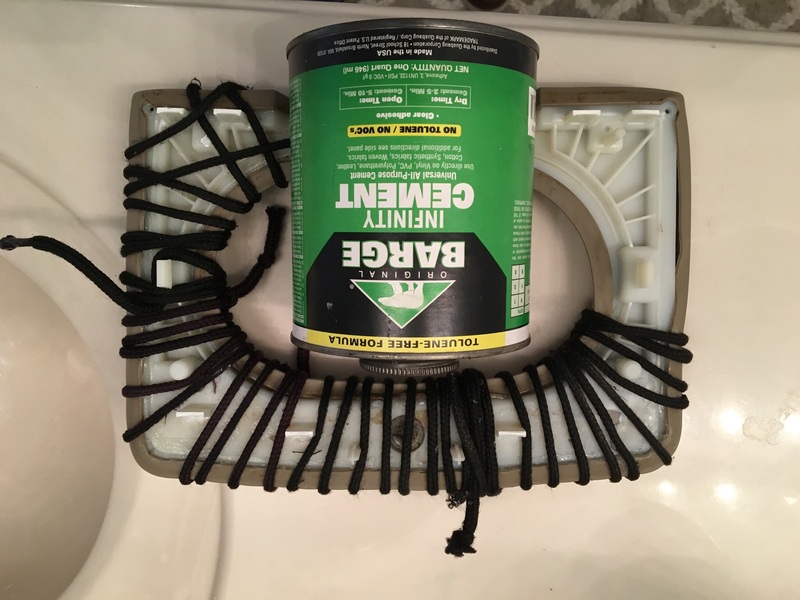 Mine came up and I figured it would need replacing so I did some auto surgery and found that the white plastic that is attached to the cup holder is held in by clips. They are hard to come up but you can see where they are in the plastic they are recessed. Take a thin screwdriver and push from the front of the recess and it should release the clip. Be aware there are 4 pins also holding it in. You are gonna need to be patient to be able to get it out in one piece. Put something in between once you release it to hold it up or it will just snap shut again... have not gone to ford yet to see if I can get a replacement, but there was a part number on the plastic.. Shoot me your VIN and I'll get you the part number and price. I know this is and old post but I'm having a hell of a time getting this plastic piece off this console. Any tricks anyone can give me would be greatly appreciated. Iv pushed and pried on every side and on every angle it feels like. And Iv even shined a bright light through the plastic. Still no luck. New to site, don't know how to add multiple pics per post... Just want to help folks! 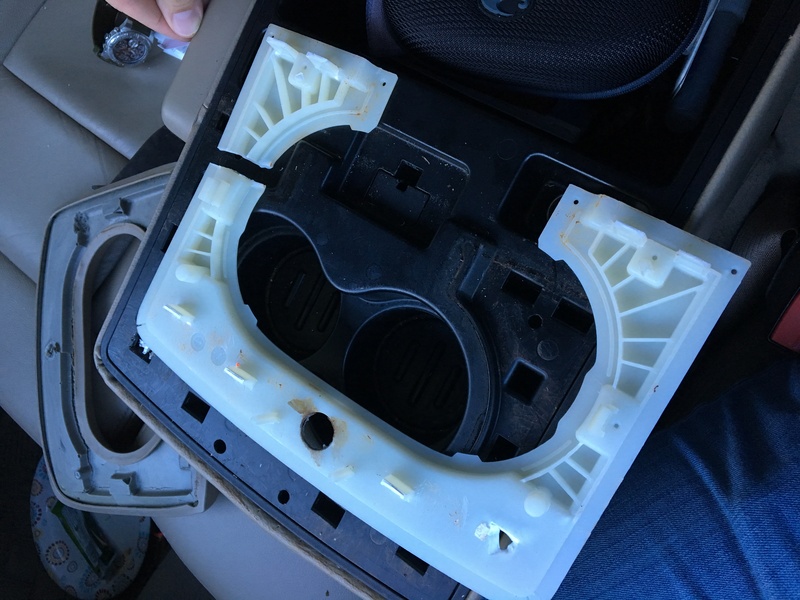 Do you know where I can a replacement for the folding console padding that goes around the cup holders for a 2008 f150 xlt?